It's all too easy to overlook a bathroom mirror. In fact, we typically spend more time staring at our own reflection than looking at the mirror itself. But a beautiful mirror that's just the right size and shape can entirely transform your bathroom. Consider this: The bigger the mirror, the more it will reflect space and light—so it's generally encouraged to go for the biggest mirror that will fit your space. The rest is a matter of personal taste. Do you prefer a round or rectangular shape? Do you like aged brass, polished nickel, or a powder-coated black finish? Do you prefer a simple, minimalistic piece with very little detailing or an ornate mirror? 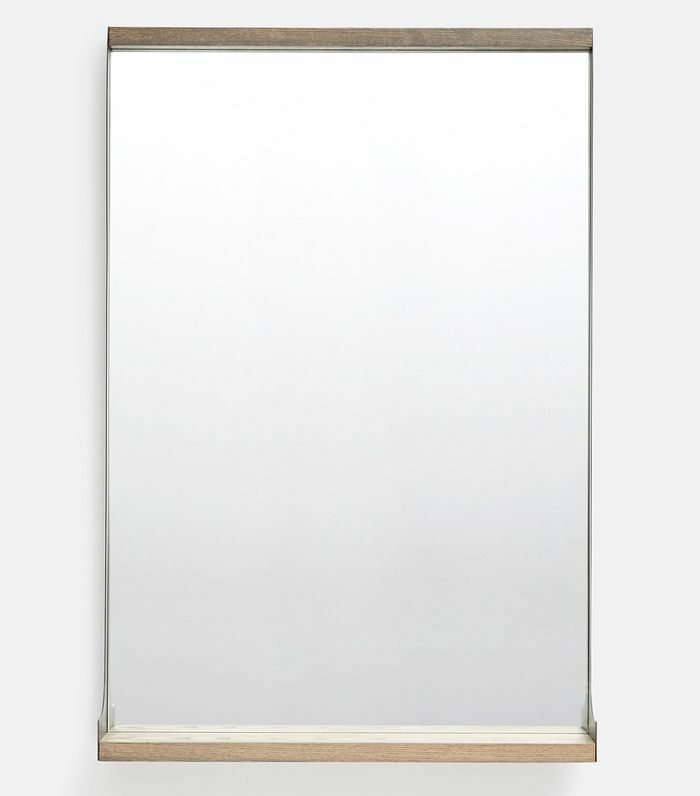 If you're looking for the best bathroom mirror to improve your space, look no further. 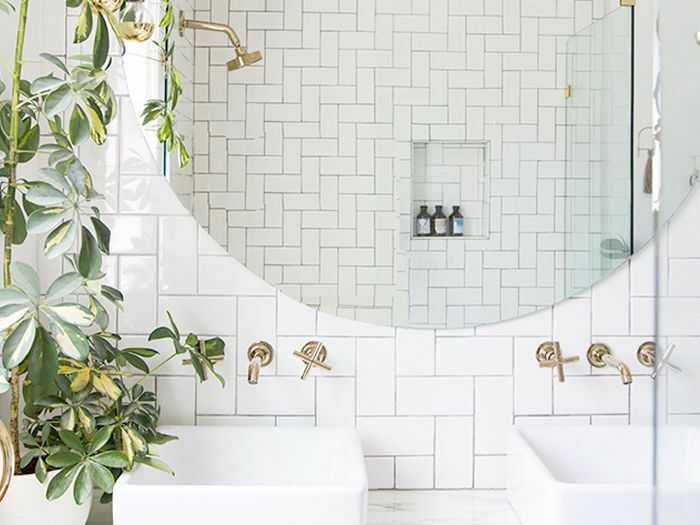 These are the bathroom mirrors our editors can't get enough of. This under-$100 mirror has built-in LED lighting sources, so it functions almost like a ring light, making you look like a million bucks. Now that's a sound investment. 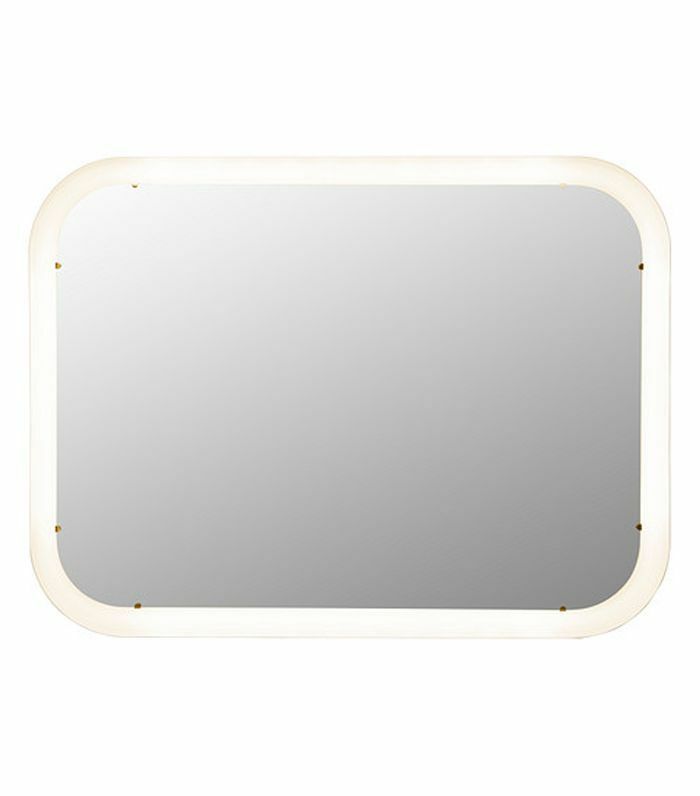 This cool, iridescent mirror is not only unique, but it also has a built-in shelf to house a few night creams and accessories. 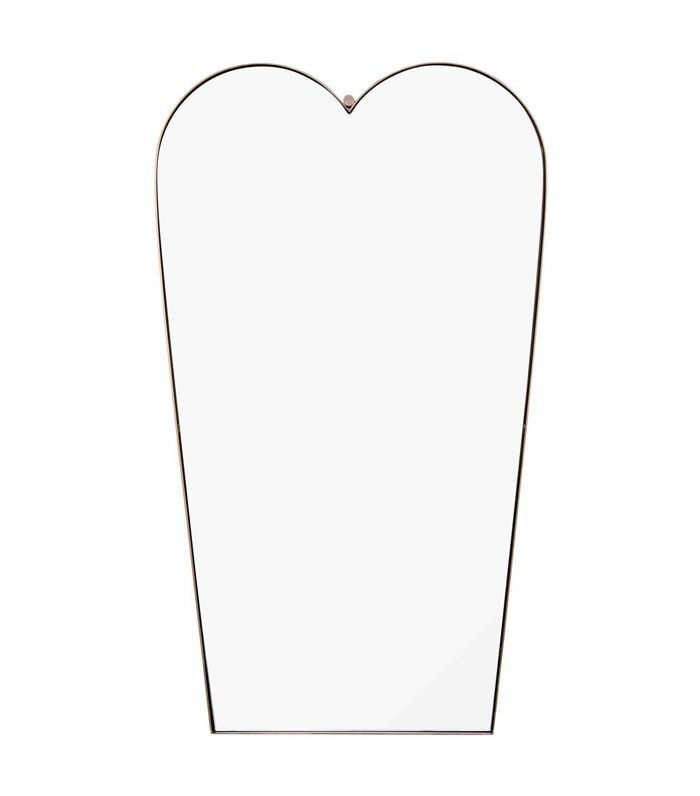 Available in black or brass, this vanity mirror has a whimsical heart-shaped top and is slightly tapered at the bottom, giving it a romantic edge. 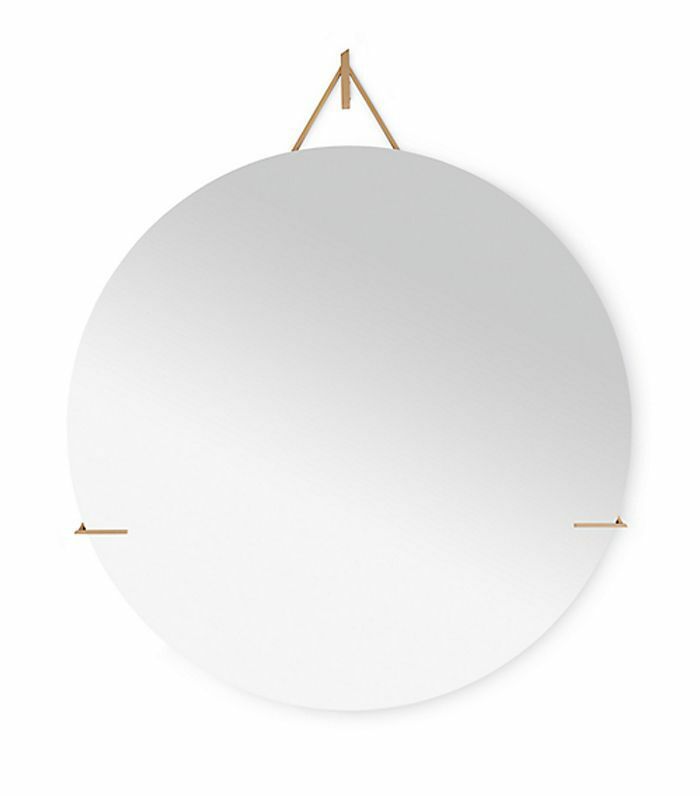 Round infinity mirrors are all the rage these days, and one of our favorites is this CB2 number with a thin black frame and a slightly oversize shape. 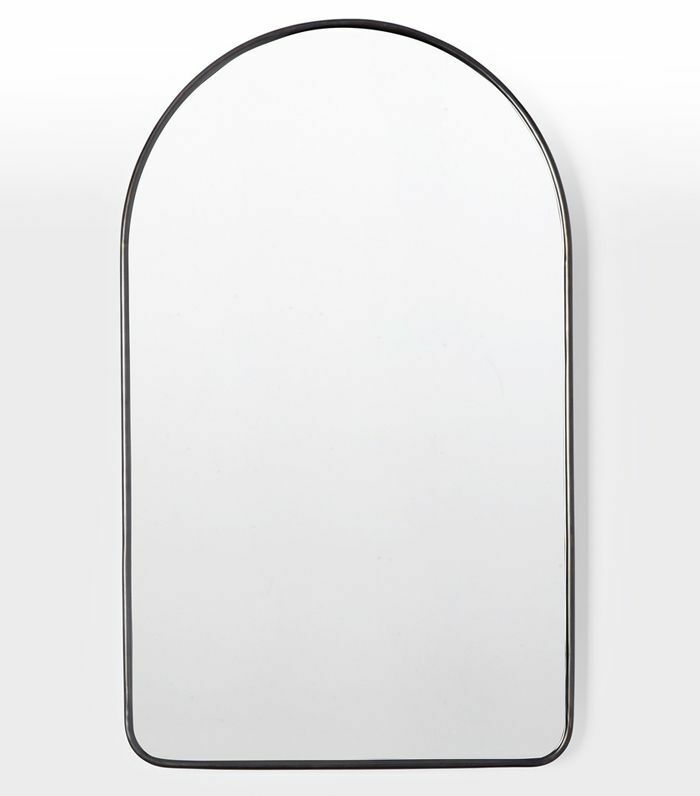 This simple bathroom mirror was designed by Jacques Adnet, an icon of midcentury French modernism. 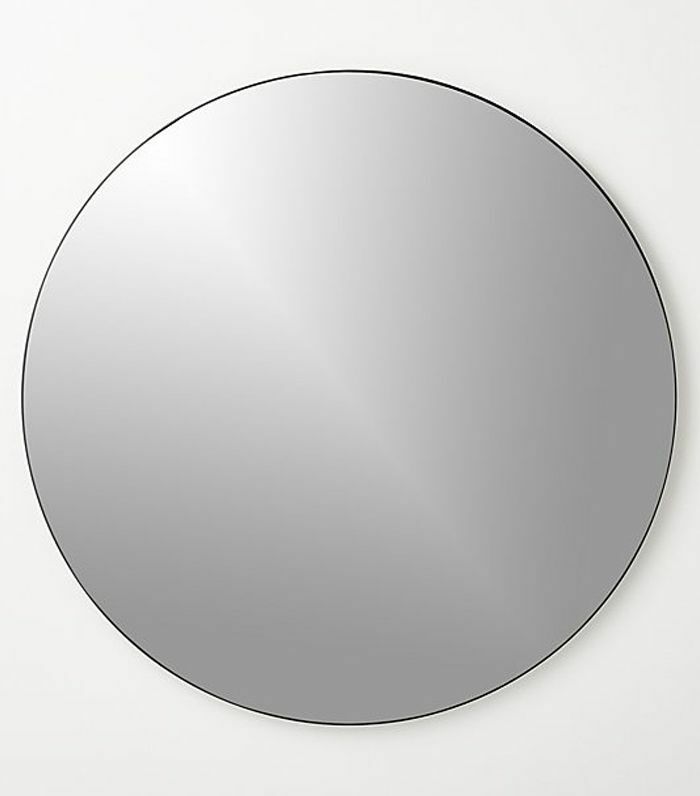 Give your space an elegant, French modern edge with this minimalist mirror, available in black or brown. 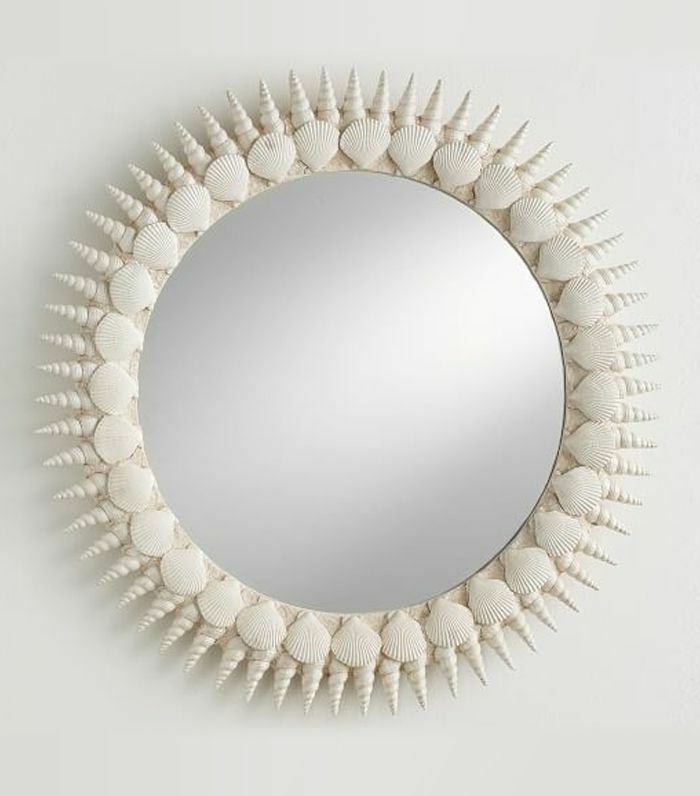 This quirky mirror is not for the faint of heart, but the shell pattern gives this piece a beachy flair. Use it in a coastal home in moderation—in other words, don't overdo it with the beach-inspired décor. Less is always more. 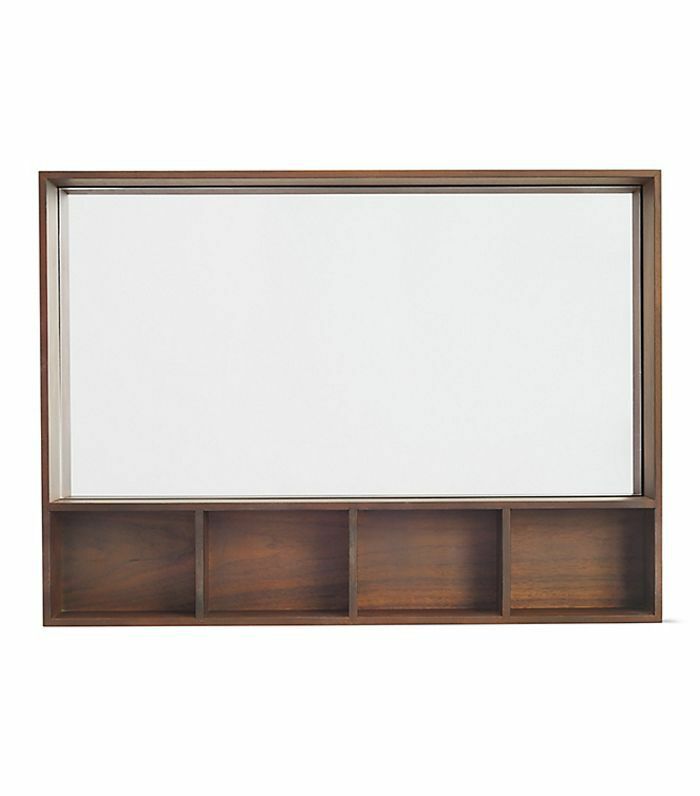 Typically used in entryways, this wallboard with mirror is extra practical in a bathroom thanks to its small storage shelf compartments that can house anything from beauty products to small jars and canisters. 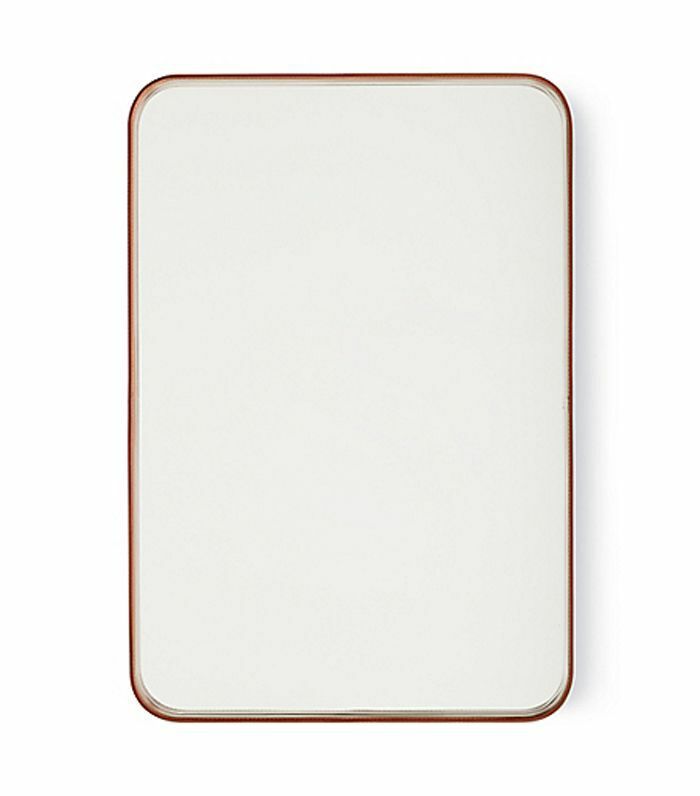 This mirror is minimalism at its best. The dainty brass frame lends the illusion that it's floating, making it the perfect elevated version of a classic round mirror. The arch is a trending shape in new-modernist designs, and this mirror is the perfect way to introduce the trend in your space. 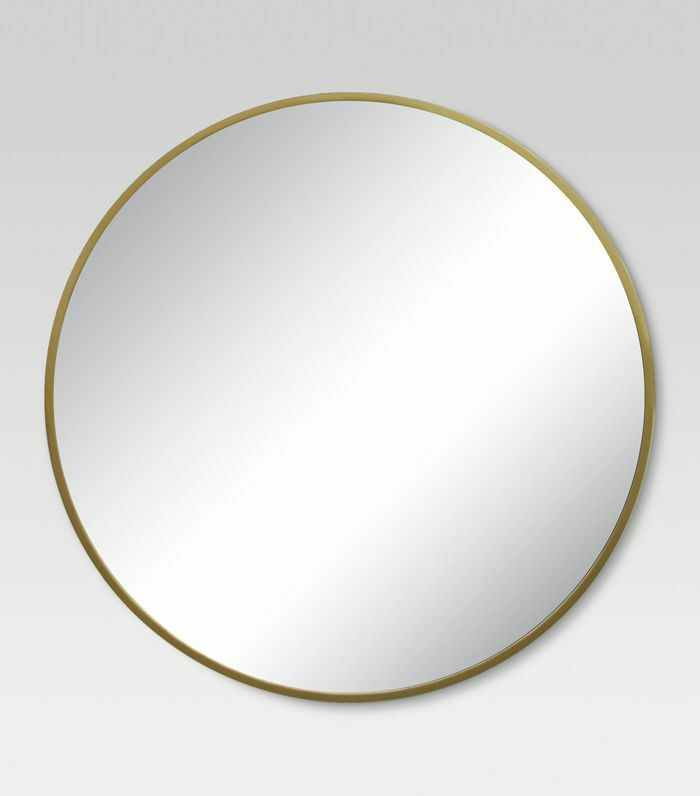 The mirror is available in aged brass, oil-rubbed bronze, and polished nickel. 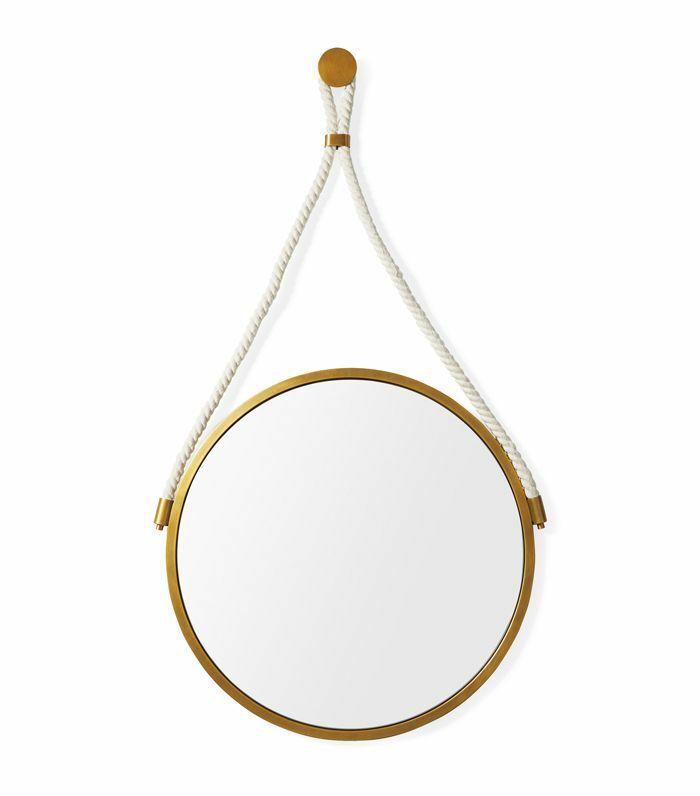 With strong nautical nods, this rope-and-brass Serena & Lily mirror is ideal for small spaces, beach houses, or country homes. Its compact nature makes it the perfect choice for a tiny bathroom reminiscent of a boat cabin. Any mirror with a shelf is practical in a small bathroom, especially if you don't have a ton of storage. Even if you can only fit a few often-used items on the shelf, it becomes a beautiful display of your favorite beauty buys. 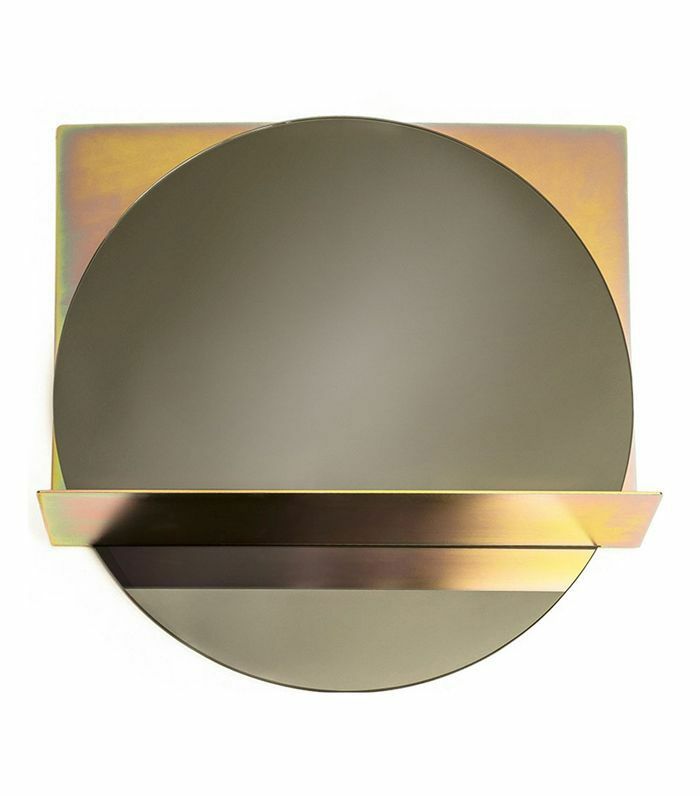 An acrylic-and-brass frame gives this mirror a modern flair that's just a little glam. Use it in a bathroom where space is a challenge to give it a beautiful focal point. 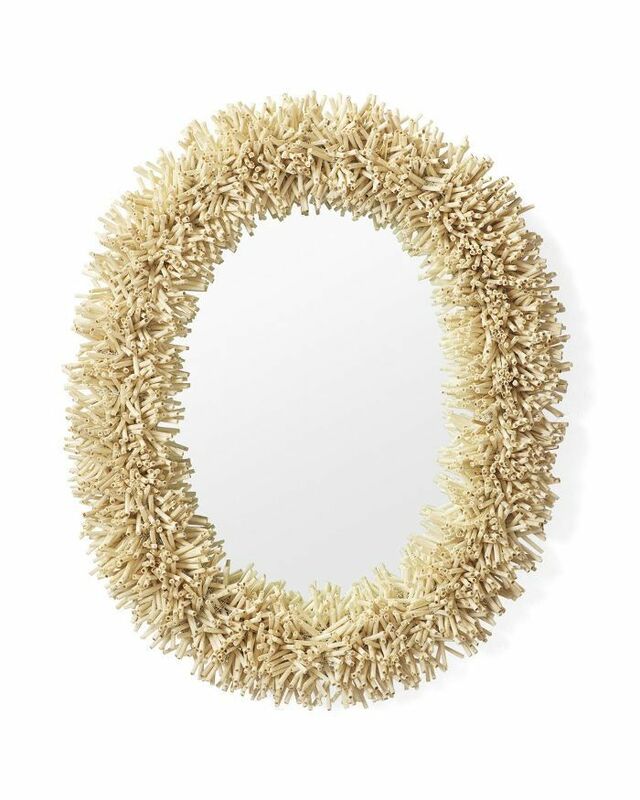 Another great option for a coastal home is this intricate Serena & Lily mirror, which looks like coral at first glance but is actually ingeniously made from rattan. 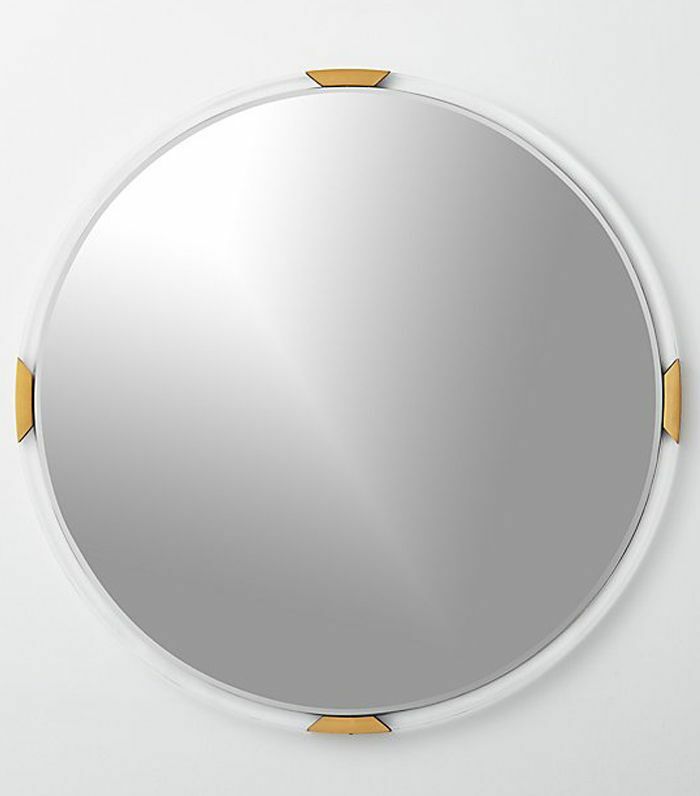 If you're looking for the perfect affordable round brass mirror, look no further than Target's Project 62 décor collection, which features this under-$50 mirror. It doesn't get much better than this. Which bathroom mirror would you pick for your space?